Pets are more popular than ever. And along with them, so are houseplants. And the desire to have LOTS of them; pets and houseplants! However, did you know there is a potentially scary side to your two passions. 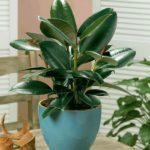 Many people are not aware that a number of houseplants (and outdoor plants too) are actually dangerously toxic to dogs and cats. In fact, you probably have some in your house or apartment right now! Cue threatening music. Not to worry though, we’ve got your back. 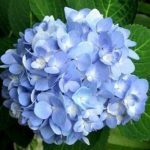 This article includes some of the most popular indoor and outdoor plants that are not safe for pets, and what you can do to keep both your plant babies and your pet babies safe. They look super cool and they clean the air to boot, but they could be a hidden danger in your home. If you have any of these plants in your house, keep reading for tips on how to keep your pets safe. 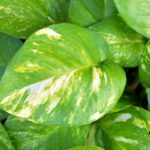 This perennially popular cascading houseplant can be a real devil for your pets. Dogs and cats begin to react immediately if they ingest this plant. Keep an eye out for pawing at the face, a foaming mouth, and vomiting. Swelling may also occur making it difficult for your pet to swallow or even breathe. Top Pet Tip: If you want to keep your Devil’s Ivy, ensure it is in a very high place where your dog can’t gnaw on it. Another tip for feline parents is to keep it somewhere that your cat can’t access it at all, such as on an awkward stand. 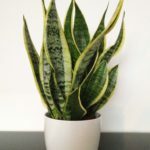 Another gorgeous plant that is potentially dangerous, the ZZ plant, also known as the Zanzibar Gem, can cause vomiting and diarrhea in our pet pals. Top Pet Tip: Ensure that you don’t situate your ZZ at ground level. This can make it far too tempting to take a bite out of! 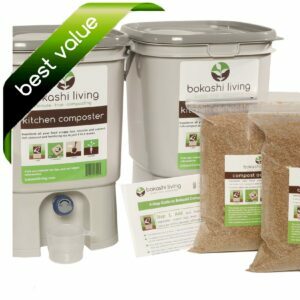 While you wouldn’t think that your pet would go for this, you’d be surprised. If ingested, these spiky plants can cause drooling, vomiting and diarrhea. Top Pet Tip: These plants are pretty unappetizing to most pets, however for extra peace of mind, you can try spritzing them with a mixture of lemon juice and water, to make them more unappealing. All lilies are poisonous to dogs and cats. 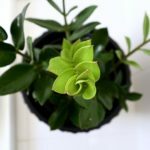 This houseplant, while easy to grow, is totally toxic to our pets. It can cause a multitude of symptoms including vomiting, oral pain, loss of appetite and drooling. Top Pet Tip: Because the Peace Lily has soft leaves, it can be extra tempting for your pet to chow down on this nasty number. Keep it up high in a decorative holder so your pets can’t get to it. This innocuous looking beauty can be crazy dangerous for cats and dogs. The compounds found in the sap of the rubber tree (and weeping fig trees) can actually attack the DNA in the cells of your pet! All parts of this plant are toxic, so don’t take the risk. Top Pet Tip: We recommend steering clear of this one. 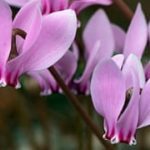 If you own some of these plants, it’s not strictly necessary to get rid of them immediately. Here are some general tips to help you keep both your pet babies and your plant babies safe. Position your plants up as high as you can. It looks cute, and it keeps your pets safe. If you have a cat consider putting plants somewhere extremely difficult to get at (especially if they’re climbers). There are literally so many gorgeous plant accessories around at the moment, so this is the perfect excuse to buy them. All of them. From gorgeous geometric brass plant stands to stunning macrame hangers, there are loads of accessories that can help to jazz up your home and keep your pet safe. Another sneaky way to have the best of both worlds is to keep plants in the rooms that are off limits to your pets. That way, you’ll never have to stress about your furry friends snacking on them. If you’ve got a gorgeous yard/ courtyard/ balcony that you take pride in, beware, as it could actually be a minefield for your pet! Outdoor plants can be dangerous for pets because all it takes in one minute without supervision for them to potentially ingest something toxic. If you have any of these in your yard and your pet hangs out there regularly, it’s worth swapping them out for pet-friendly alternatives. These flowers are pretty in a garden – but if your pet begins to seem ill after spending some time in a place where they are growing, they could be being poisoned by them. The compounds in this plant can change to cyanide if enough of it is ingested. Yikes. It’s crazy to think that something as seemingly innocuous as these beautiful flowers can be so harmful to our pets. This plant can cause drooling, vomiting and diarrhea, especially if the roots are ingested. 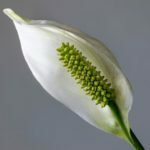 Unfortunately, if these plants are in your garden and your pet spends unsupervised time there, it’s time to say goodbye. It’s best to replace them with other plants that are safe for your pet (or ESA dog), for peace of mind. When decorating your house, use this guide to make sure that everyone in your household stays safe happy and healthy. 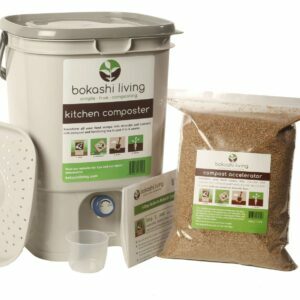 ← Is it OK to compost non-organic food waste?